One of the worst feelings to experience as a pet owner is the realization that your pet has gone missing. Only 17% of dogs and 2% of cats make it back to their owners—which can make it feel like you’ll never see your pet again if they get lost. We encourage you to consider microchipping your pets, as even indoor pets can escape and become lost. Unlike collars and tags, microchips can’t fall off and they serve as permanent identification for a pet’s entire life. 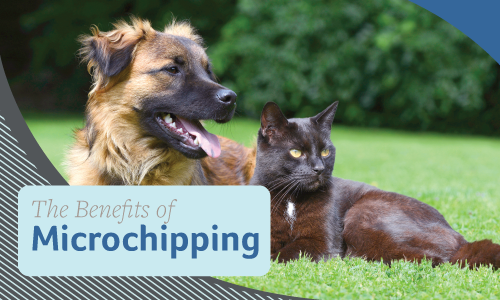 To get your pet “chipped”, contact us today!